Fiat and Tesla are helping each other out in the name of emissions regulations, Toyota’s trucks will soon be on one platform, and Ram has outsold Silverado, for now. All this and more in The Morning Shift for Monday, April 8, 2019. 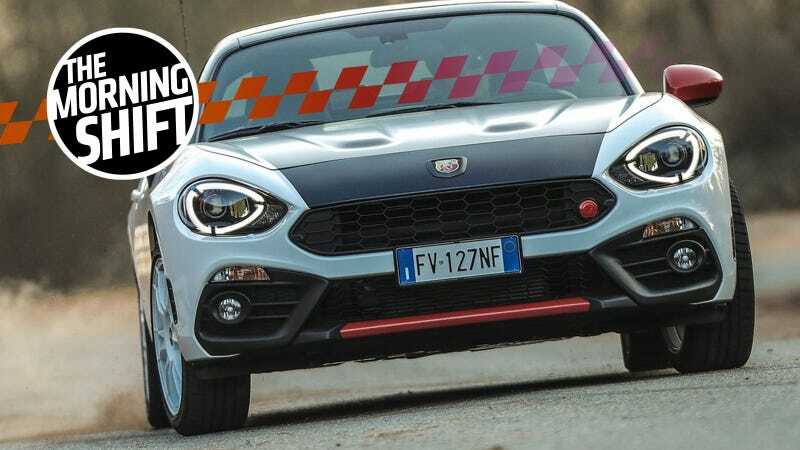 The Italian-American carmaker is behind on meeting the new standard, and the so-called open pool option available at the EU allows automakers to group their fleets together to meet the targets. Payments to Tesla, whose electric cars don’t produce CO2 emissions, may amount to over 500 million euros, according to Jefferies. Compliance has gotten harder for automakers with a move by consumers toward gasoline cars, which emit comparatively more CO2, since Volkswagen’s 2015 diesel-cheating scandal. If you’re curious, this isn’t just Fiat being sad. Even Toyota and Mazda are pooling together on emissions. Ram has been third for forever, mostly because if you’re a Ford guy you tend to always buy F-150s, likewise with Silverados and Rams. As FCA launched its redesigned Ram 1500 last year, it continued to build the previous-generation model, dubbed the “Classic,” to avoid any potential dips in production during launch — and to eat into Chevy’s lead. The gamble appears to have paid off. Ram sold 120,026 pickups in the first quarter, while Chevrolet dealers moved 114,313 Silverados. Wind the clock back one year, and Chevy’s lead looked almost unassailable: 135,545 Silverados were sold in the first three months of 2018 compared with Ram’s 103,964. Ford’s F series, gunning for its 43rd consecutive yearly sales crown, barely changed, going from 214,191 in the same period in 2018 to 214,611 this year. Toyota’s next-generation full-size Tundra and midsize Tacoma pickups will share a common platform — internally called F1 — that the Japanese automaker plans to spread to all of its pickups globally, Automotive News has learned. The AN report claims that this will be a global move, but doesn’t mention the Hilux by name, leaving a little bit of uncertainty about the Other Toyota with a bed in the back. This is all kind of boring in the end. You buy a Toyota truck and then you have a Toyota truck, which you drive to your white-collar 9-to-5. It’s the ‘80s all over again. The economic suicide that is Brexit has already had an effect on a bunch of British companies, including Jaguar, which shut its factories for five days today partially in response. The percentage of Jalopnik readers this item will affect is vanishingly small, but I am here to note it anyway, in part because New York City is doing something similar. Congestion pricing is here to stay, in other words. In London, that means now that bad old polluting cars will have to pay more to drive into the city. Driving in European cities is a total nightmare anyway, I highly do not recommend. It’s a car company, I guess, but it’s also an emissions compliance company for the rest of the auto industry. Or maybe it’s a battery tech developer? A font for bad tweets?